To work alongside visionary clients and colleagues, crafting software that makes a positive impact. To lift up the communities that we live in, the environment that surrounds them, and the individuals within them. To provide opportunities for the curious to discover the joy of creating elegant, useful software. To lead the way on sustainable, responsible business, and share with others how it can be done. To provide a place to do the best possible work, while leading the best possible life, with those you love both inside and outside of work. Scott founded West Arete in 2005. He’s been programming and writing software for most of his life. His passion is to build a company that makes custom software development predictable and profitable for our clients, while providing the best work environment anywhere. Chet oversees the development process and development operations at West Arete. He is a certified Product Owner and certified ScrumMaster, and frequently serves in those roles for our clients. His goal is to guide projects so that they deliver the greatest possible value to clients for the available budget. His background is in high performance scientific computing. Dan’s background lies in finance and operations at high-performing companies. Dan seeks to bring profitability, predictability, and growth to the West Arete team. He’s most passionate about contributing his efforts and abilities to a growing company which, in turn, gives back to the community. Eric’s focus is on back end development. He helps to write the behind-the-scenes software that drives the websites and applications that we build. Eric is driven to craft well tested code that can remain flexible throughout its lifespan. Natalie has won awards for her innovative work creating software and devices for those with disabilities. She has been part of software teams at Fortune 50 companies. Her emphasis has traditionally been on front-end development, and she is now broadening that experience to the full stack, while working nights and weekends on getting her MBA. Ryan’s focus is on back end development. Ryan has an array of stellar skills in scientific computing and big data and he adds extensive experience in data visualization and interface design. Ryan specializes in solving complex programming questions with innovative—yet solid—code design. West Arete’s most mind-blowing benefit is a mandatory one-month sabbatical for every employee, every year. Yes, this is in addition to vacation. Yes, every person must take one. No, you can’t check your work email; we shut off all of your accounts when you leave. Why do we do this? Because it’s easily one of the most impactful things that we can do for our employees’ lives. Because we each come back incredibly refreshed and motivated. Because it’s actually incredibly powerful for streamlining operations and validating responsibilities. West Arete was founded in 2005 in State College, PA as a custom software development company for research groups and academic institutions. Our small initial team drew upon their background in high-performance computing, data, and scalability to solve worthy research problems with custom software. Even in these early days, we gravitated towards worthy causes. Our early projects advocated for social good by advocating for living wages around the country, by studying how to improve iron absorption in women with anemia, and by examining how speech naturally develops in bilingual children. We also committed from day one to sustainable business practices. 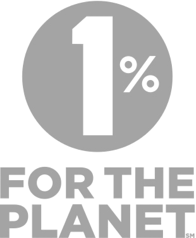 We were one of the first 100 companies to join 1% for the Planet. This commitment to donate 1% of our annual sales (not profit) to environmental nonprofit organizations was no small feat for an early stage company that often wouldn’t have any excess cash to spare. Yet when we see the impact that those many tens of thousands of dollars have made, we have never doubted that it was the right thing to do. Our business simply adapted to the commitment, rather than the other way around. 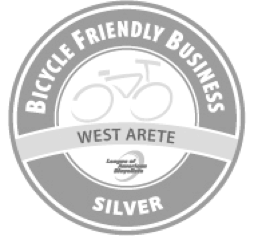 Over the years as our company grew and matured, we deepened our commitments to social and environmental good by becoming a certified B Corporation and a Silver Bike Friendly Business. We became more involved in our local community by spearheading several technical and entrepreneurial efforts. And we introduced radical employee benefits such as fully-paid, $0 deductible health insurance for each employee’s entire family, and mandatory one-month sabbaticals every year, for every employee. We eventually broadened our target market to serve other industries, and not just academia. But we narrowed our focus to serve the organizations that are doing good in the world, namely nonprofit organizations, foundations, and purpose-driven companies. We feel that life is to short and precious for us to spend our time and talents developing software that does anything but make the world a better place. We are proud of our company’s history and the continuity and accomplishments that have come from it. But we have ambitious plans for West Arete’s future. There is so much more to do.